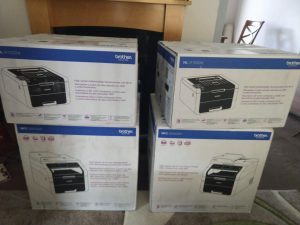 A couple users managed to catch a few of these Brother HL3170CDW, Wireless, A4, Colour Printers from Staples for £10.79. Congrats! The deal was later featured on hotukdeals and by that point they changed the price. You can see why it is important to get there quick. In June, johnintheuk who picked Cath for the £14.80 made. In August, flan9999 picked Great Ormond Street Hospital for the £13.46 made. In September, oscarandjo picked Water Aid for the £18.28 made. Note, we don’t get a payout every month as sometimes it doesn’t pass the payout threshold.